Before allowing your customers to make online purchases with RGP's Online Booking and Calendar Widget, you’ll need to enable an HTTPS connection on your website. Rest assured, ALL communication to RGP and your payment gateway is secure. HTTPS is required to simply avoid incorrect warning messages from the browser that may alarm or confuse your customers. HTTPS stands for Hypertext Transfer Protocol with an S appended for “Secure”. In short, HTTPS is an internet communication protocol that protects the confidentiality of your customers’ data between their computer and your website. This security is essential when sensitive information like credit cards are being entered on widgets like the Online Booking and Calendar Widget. Why is HTTPS required on my website? Although the embedded Calendar is secure and using the HTTPS protocol to collect data from your customers, the webpage where the form is embedded also needs to be secure when allowing customers to Book Online. If the webpage is not using HTTPS, the customers’ web browser will display a security warning suggesting that the information they are providing is not secure. So in order to provide the best customer experience and to avoid any customer confusion, HTTPS is required on the page where the calendar is embedded. 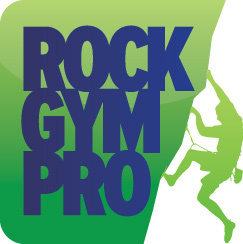 * It’s important to note that neither your website nor Rock Gym Pro is storing customer credit card information. This continues to be handled by your payment gateway. Unfortunately Rock Gym Pro cannot enable HTTPS on your website for you. You will need to contact your web host provider for pricing plans and instructions on how to get this set up.